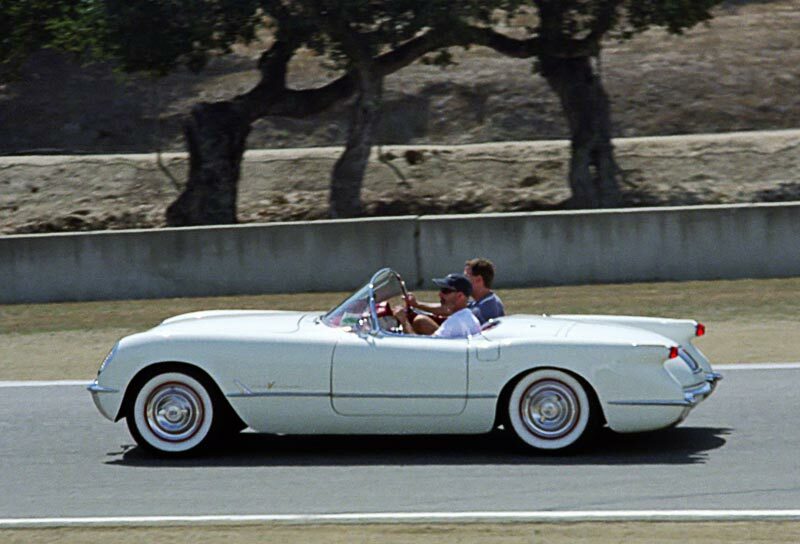 The first generation of Corvettes are affectionately known as "Straight Axle" Corvettes, in reference to their simple rear suspension arrangement. 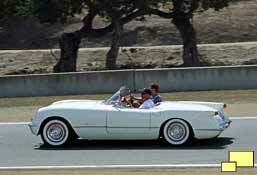 Although the chassis remained essentially the same, there were distinct body styles. 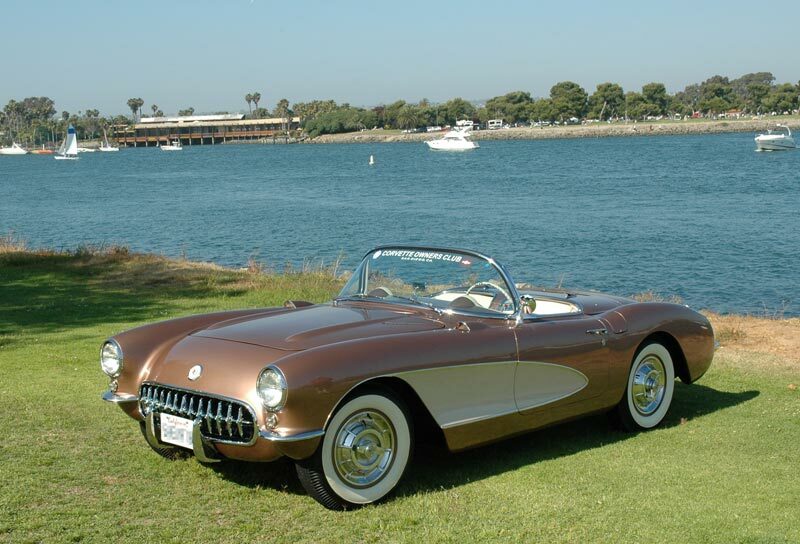 The 1953 - '54 (left) had the rocket tail lights and the headlights set in the fender with a fashionable stone guard. The 1956 - '57 introduced the Cove as a styling element. The design was stepped up a notch with the quad headlight treatment in 1958 (above right). 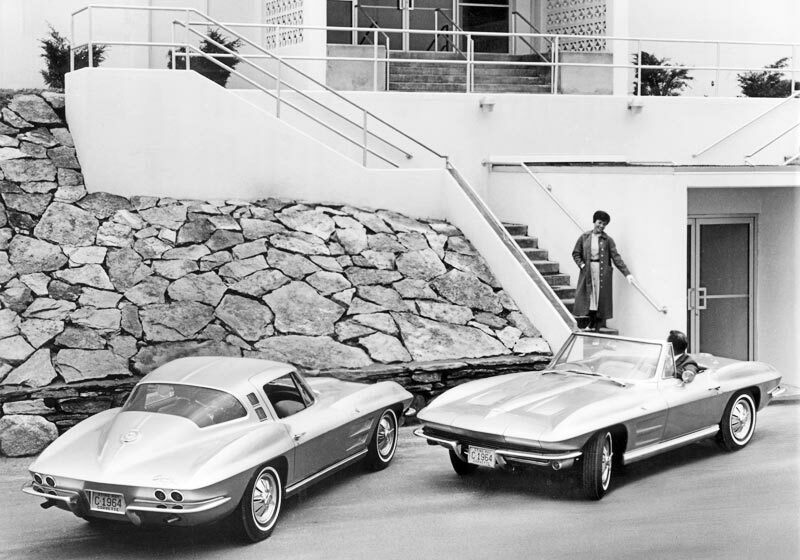 1961 and 1962 were the transitional years, (right) in which the rear of the upcoming C2 convertible body was used. 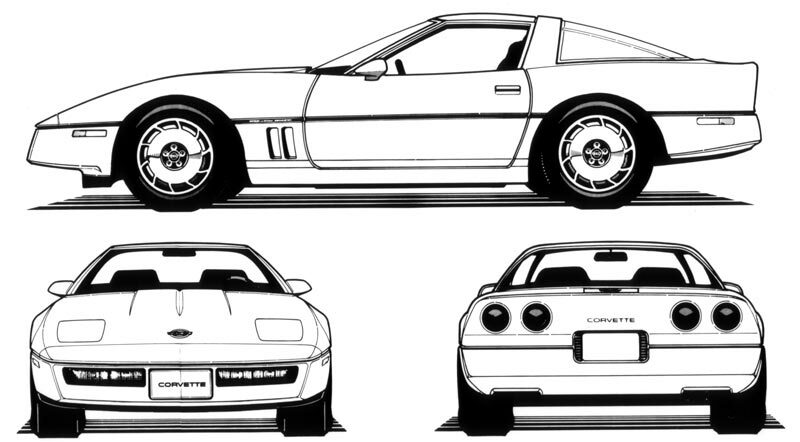 Also known as the "mid year" Corvettes, the C2 is probably the most sought after Corvette. 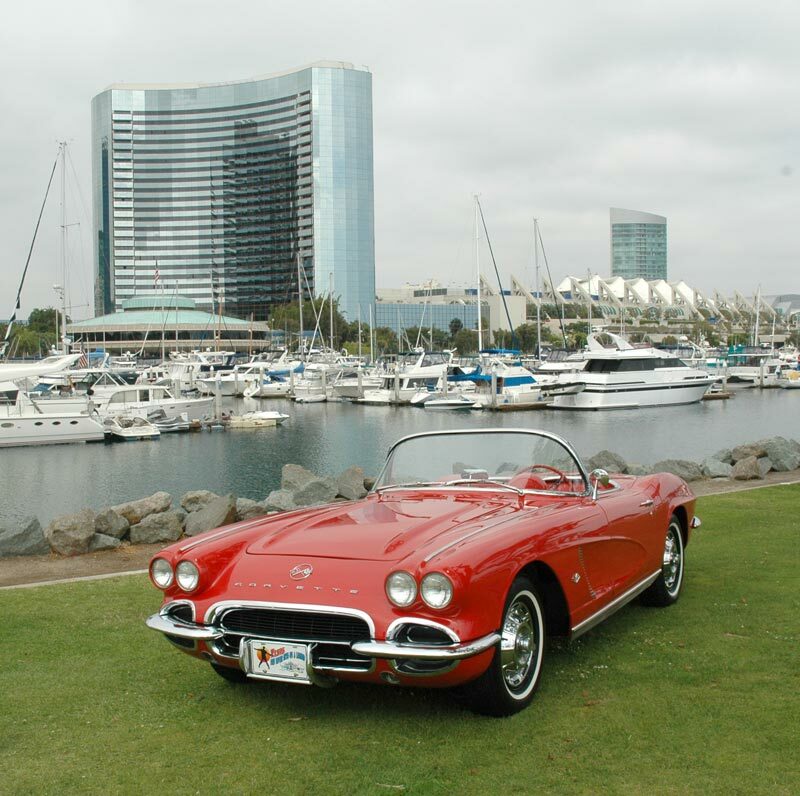 They were the first to use an independent rear suspension (see The Chassis) and featured one of the most admired body styles in the history of performance automobiles. Although the C3 was a new body style, the chassis was inherited from the C2. 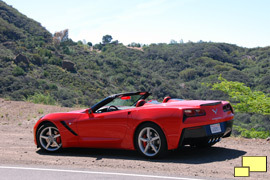 The new body set the standard for Corvettes for many years to come. 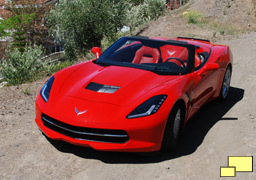 The subsequent generations of Corvette would have a strong resemblance to the C3, all the way to the C7 introduced in 2014. 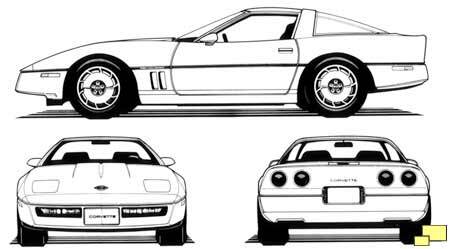 When introduced in 1983 as a 1984 model, the C4 Corvette was an all new body style and chassis. The front was given a styling update and the rear bumper was changed from concave to a convex shape in 1991. The C5 continued the styling theme introduced with the C3. 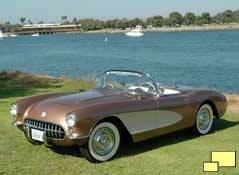 It was the first Corvette that featured an all new body style, chassis and drivetrain. The C6 was not a major change especially when compared to the C5; some of the Corvette faithful thought that C5.5 would have been a more accurate designation. The C7 was a major upgrade; the body, chassis and engine were all new for 2014. 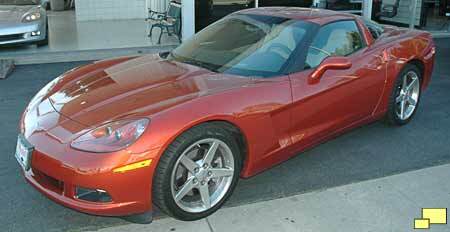 I just purchased my first Corvette as a 'happy retirement to me' present. It is a 1992 convertible in 'cherry' condition, less than 50,000 miles. As I am now researching to gather more information on the C-4 generation, this website is chock-full of information. Lots of good information here! I have a 75 coupe deluxe int/pwr st/4spd. I've owned it since 85. Is it possible Chevy fudged the hp rating of 165? I have oversized tires and still get chirp in 4th. Recently I've taken all the pollution off, added Holly 650 Avenger, high rise intake, Thumper cam kit, headers, serpentine belt & bigger radiator. New paint, adding a stinger hood, all new interior. Next week it goes on the dyno. I'm curious what the hp will be now.. If the hp was truly 165, I'll know what I've gained. hi I heard I can get a birth certificate for my corvette how can I get this? Not sure what you mean when you say \\\\\\\"birth certificate\\\\\\\". There is the build sheet which came with C2 (starting in 1967, maybe 1966) and C3 Corvettes which are also known as tank stickers since they were located on the gas tank. 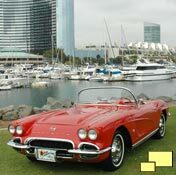 You may be thinking of the Shipping Data Report Service from the NCRS, see http://web-cars.com/corvette/1968-Corvette-upclose-11.php for more information.